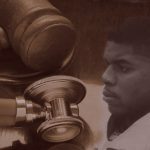 The NFL has a long and shameful history of denial of retired players’ disability benefits, and though collectively bargained, the NFLPA has been of little if any help in the matter. Because of the structure of the Bert Bell-Pete Rozelle Disability Plan, money going to compensate retired players affects the salary cap available to compensate active players and thus a major conflict of interest is created. 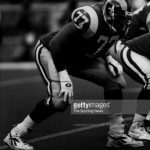 In the latest NFL Disability Plan response to a lawsuit filed by eleven-year veteran offensive lineman Darryl Ashmore in regard to denial of his disability claim, the Plan attorneys admit that his medical records haven’t even been reviewed! When I previously reported on this story, I noted his claim of disabilities resulting from eleven seasons in the NFL: chief among them, the neurological impact of frequent and severe migraines, encephalopathy, memory loss, depression, anxiety, impaired concentration, nausea and hypertension, as well as the physical manifestations of chronic pain in his neck, knees, back, wrist, and shoulders attributed to herniated discs, and degenerative arthritis.